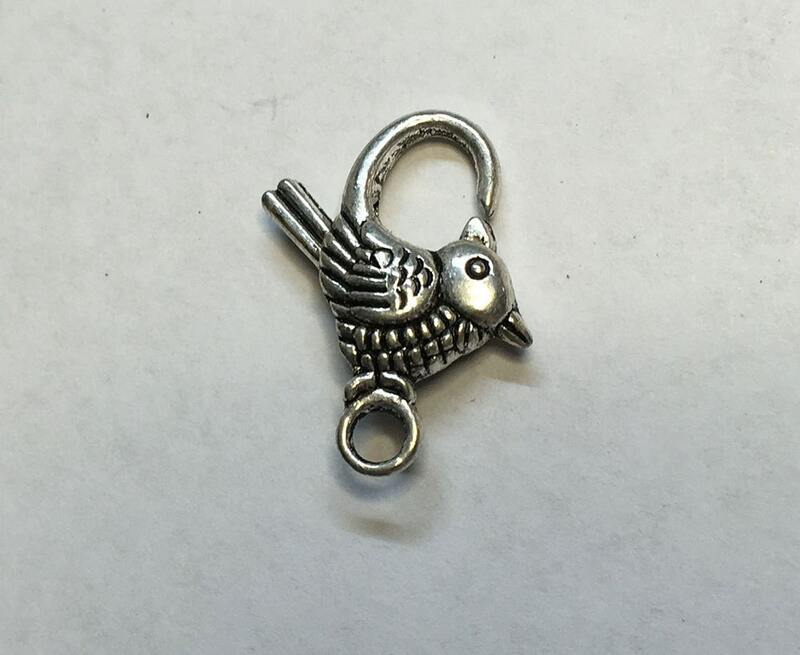 Antique Silver Bird patterned lobster claw clasps measuring 22mm x 17mm. Alloy metal; nickel free, lead free, and cadmium free. Great unique clasp to add interest to your jewelry creations! cute little clasp for bracelets - thanks for quickly filling another great order!